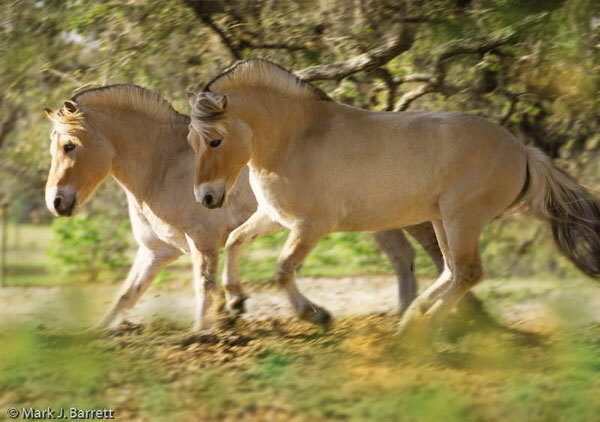 Norwegian Fjord Horses are one of the oldest breeds of horse tracing the lineage back to the Ice Age. Pictures of these horses are depicted in the “Bouise Tapastry” -riding in the boats with the Norsk raiders. During the Viking times these horses were used for farming, transportation, milk and the Viking sport of Horse Fighting. Remains of these horses have been found in the graves of Viking Kings. Today the Fjord Horse can be found in several disiplines from Dressage to Draft horse pulls, Fox Hunting to Pack horses. Joyce has used her Fjords for Trail riding and Driving. She has Fox hunted her Fjords, competed in several Draft and Driving shows, and has for the past ten years taken her Fjords on Wagon trains in the beautiful Blue Ridge Mountains. Joyce Concklin raises these beautiful horses on her farm in Brooksville Florida, where young horses are frequently available for sale. I am looking for a taller grey or red dun colt or mare. My husband and I live part-time in Weeki Wachee, FL and part-time in the Smokey Mountains of NC. I have had horses most of my adult life, many different breeds and disciplines, but now retired, travel and have no horses. And I miss them. I saw your Facebook page today and realize how close you are. Do you allow visitors to your farm?